I was crowned in Cuba in February 2006, however my path towards Kariocha was a very long and winding one. It was not like many stories I hear about these days. I truly believe that my destiny was fulfilled finally when I became crowned, however I was forever running away from it. Frightened of the commitment, the responsibility and what it may entail. I started to be pulled towards the path of Orisha in the early 1980′s when in Cuba it was prohibited. It was not a curiosity I felt, but an overwhelming pull towards it, like a magnetic energy field that I tried for a long time to resist. I finally let go after several surreal incidents that I faced whilst I was living in Cuba plus that fact that I fell ill and the doctors could not find any explanation and I was taken to the feet of a Diviner. Back in the day there was no information, most people in Cuba would refute any connection to the Religion and I feared to speak about my experiences thinking that people may judge me. I received my warriors in 1991 and slowly but very slowly let myself give in to the advice and guidance of Olodumare, Orisha and Ancestors who, by the way were continuously on my case. Cuba is where I was crowned and I feel a very strong connection to the country for many reasons, including family connections, however the last time I visited Havana I have to say that I was quite shocked. in the eleven years since I was crowned, the Lukumi religion today is most certainly the religion of choice, where everyone has received their Mano /Kofa de Orula and everyone is getting crowned at a price, however, no longer do Iyawos ask for the bendicion of their elders. No one salutes anyone anymore in the street as they used to a few years ago. You hear stories of corruption and greed and ceremonies that have not been legimate, and you attend a tambor where no one knows the words to the songs or how to salute Anya. However what saddened me more than any of that was the pure disrespect there seems to be for the land, for the rivers and the sea, for Orisha. I had never seen such rubbish dumped in places that are deemed sacred. Havana’s rivers are full of plastic bags, supposedly carrying some Ebo or such like. Beautiful places are just dumping grounds and it made me think seriously of people’s connection to nature. What is it all about? Do they not feel the energy, the beauty when they go to the river? When they visit the Sea do they not feel the power and authority. Yemaya is the energy of the sea. Why disrepect her by throwing plastic into the sea and leaving cans and bottles on her beaches. The trees and parks are also a dumping ground. Why do people have to have these things spelled out to them? I Was immensely saddened to so see all of this. Our religion is a ” Green Religion” the Energy of God is expressed in many ways including within nature itself. I have recently seen a few videos and posts talking about the damage that plastic and other things do to our natural environment and our animals. 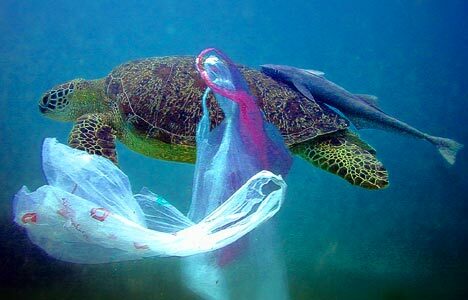 Items such as plastic take hundreds of years to decompose. In addition this rubbish is detrimental to those birds and animals of the Sea. To everyone reading this I would say be conscious of the rubbish you leave behind. Even more important, as followers of this path which may take us to leave an offering in a place of nature, please do so respectfully and if anything do not throw whatever it is into the river or the sea inside a plastic bag or container. The State, apart from the world economy which dictates most things, is paramount in Cuba. Cuba is the country where Recyling is a necessity not a lifestyle choice. Organic living also, is the norm rather than the exception, however there seems to be no consciousness regarding the disposal of rubbish whatsoever. I am sure this disregard for nature is world wide and common even amongst practioners, however it really did make an impression on me. I think in the UK on the whole, I have not had such negative experiences when I have visited the river or the sea, or the forest and there are initiatives still that encourage people to clear up after themselves so this time, my visit to Cuba was a shock. What are your experiences? Here in the UK, in particular, within the London area, we are fortunate enough to have access to most things we would need to be able to practise our religion. The markets in Dalston and Brixton are full of African Produce and so ingredients like yam, malanga and coconuts, and even the acheses are possible to find. Black eyed peas, black beans are easy to acquire these days and Banana leaves you can get from any chinese supermarkets. I even found malanga leaves in Dalston market; Cascarilla/Efun is another question, I usually by in bulk online from the US or bring some back when I go to Cuba although you could even try making it yourself. Florida water, cocoa or shea butter is easily accessible also. Most of the suppliers of black hair produce in Dalston sell sticks of pure cocoa butter and Florida water also. When it comes to Palm Oil, however there is again an issue with how and where Palm Oil is produced. The production of Palm Oil is known to be contributing towards the destruction of our rain forests, so I ask you all to be also conscious of buying sustainable, free trade , eco friendly Palm Oil. It does exist. 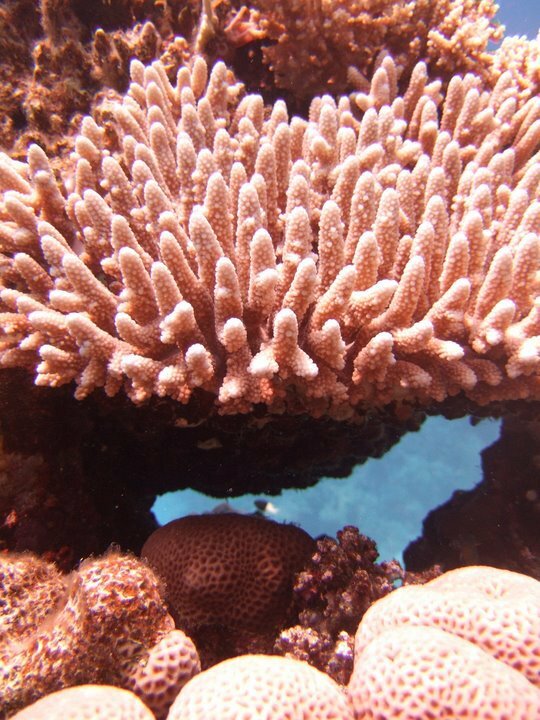 Coral: Unless it is antique which is most likely to be very expensive, a good alternative to this is Sea Bamboo. I think it is important to question what we buy and give as offerings to Orisha or wear ourselves because it has been told to us in Odun. If it is of danger to our planet and exhausting our natural resources surely it must be acceptable to find alternatives. If in doubt Orisha can always be asked. Parrot feather from the African Grey. This is easy and requires no harm to the Parrot. Make friends with your local neighbourhood pet shop. The African Grey sheds it’s feathers from to time. Ask for them to hold onto the feathers for you. I have someone who does this for me and does not charge. Livestock. I dream of being able to have my own chickens, however so far my neighbours have not shared my dream. These days keeping free range chickens for eggs and even to eat, is becoming more popular in the inner city and there are many courses run by chicken lovers on looking after your own chickens. If you see a lot of egg whites sticking to the shells, rinse them out. Bake in the oven e.g. while pre-heating oven or after it’s turned off after baking a pizza or something like that or at 300 degrees for 10 minutes. Obviously time will vary based on your oven, so adjust accordingly. Place eggshells in an open dish e.g. pie plate in a garden window or any south-facing (so it gets plenty of sun) window. Leave for a week or more until dry. You will know this when they are brittle and crumbly to the touch. When they look dry enough, run through a coffee grinder for a few seconds. Depending on your grinder, you will need to stop and start a few times. Aim for the consistency of baking soda. Wait before opening or you’ll end up with a cloud of powder. If you cannot keep chickens however there is always birdtrader.co.uk. 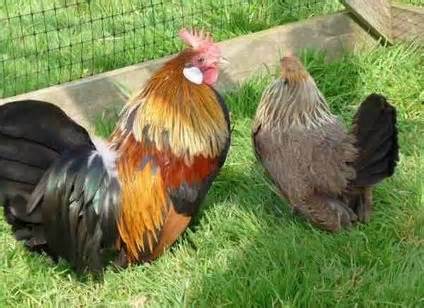 Contrary to opinion in the media, Santeros love animals, and I am very partial to a nice looking chicken. But I also believe that we should treat all animals with respect, and if possible refrain from eating processed meat. You don’t know what is in it, where it came from and how it was treated when alive. The horse meat scandal is more sinister than you would imagine. Shops and supermarkets are one thing, the food has to be labelled by law. However in your local take away labelling is not an issue. I saw an interesting documentary on BBC 3 the other day which was looking at the meat we eat. They took samples of a “lamb” curry from a local Indian take away but there was no Lamb DNA, beef DNA, pork DNA, or Horse DNA, infact they were gobsmacked and the sample contained no known meat produce! Be aware of what you put into your body! So here is some information and thoughts concerning Oshun type things. Bees and Honey : Try and support your local bee hive. Many inner city dwellers are starting to keep their own hives. There are indeed several in my area. London honey is actually delicious due to the type of flowers that grow in the London area, including Lime Blossom. It’s quite a menthol tasting honey. Eating local honey is good for you, it will help you build resistance to things especially hay fever. If you can grow wild flowers in your garden and do what you can to keep the honey bee in business. It is extraordinary that the Bee is facing such dangers. It has been narrowed down to the use of pesticides in the environment. Hoping that certain pesticides will be banned in the future. Here is some information about the Vulture. I have always liked them where many fear them. There is nothing to fear and the Vulture is just going about it’s business. Unfortunately the Vulture in India is also endangered due to the use of a certain livestock drug. I love peacocks and Peacock feathers are used in art projects and all sorts of interesting things. Have you wondered ever where they come from? WATER AID: We take clean water and drinking water for granted. Lastly I recently met a nice lady called Katie Rose. She does much to raise money for a charity called Water Aid. A Few years ago the London Lucumi Choir performed as part of a fund raiser for this charity. Katie Rose recently launched an album which was also a fundraiser for Water Aid. Here is some information regarding water aid and also some information regarding Katie Rose. Also if you buy a hard copy of our CD, you can contribute to water aid also. So my article this time around is really to question about what you do and how you relate to your natural environment. I know I have thought a lot about these things over the years and how it relates to my role as Olorisha. I think it is important to raise awareness concerning these things to the Orisha community. I hope that there will be more of a consciousness regarding the things that I have written about in the future. I really don’t want to be going back to Cuba to continue to see such abhorant littering of the beautiful rivers and streams. This is a fabulous article! I go a step further. What about the GMO? I do not eat corn, and do not want to give my Elleggua franken corn! I think it makes sense!